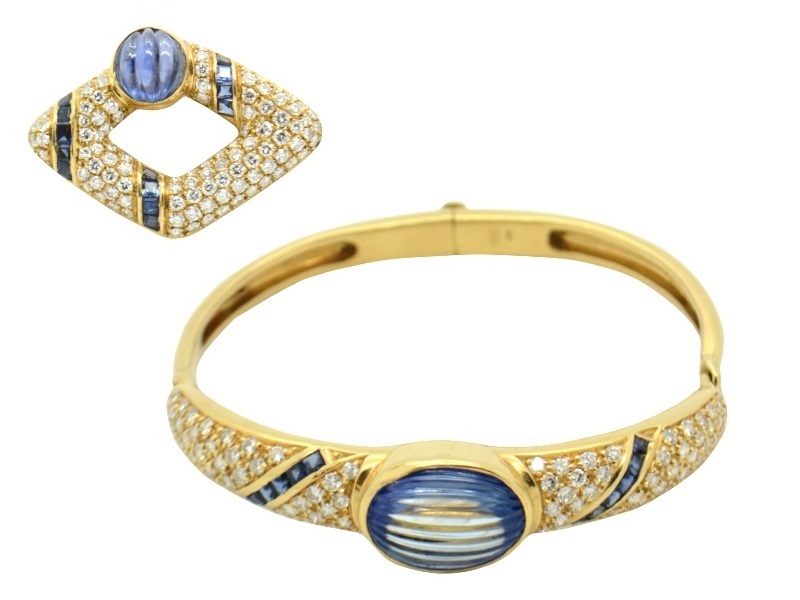 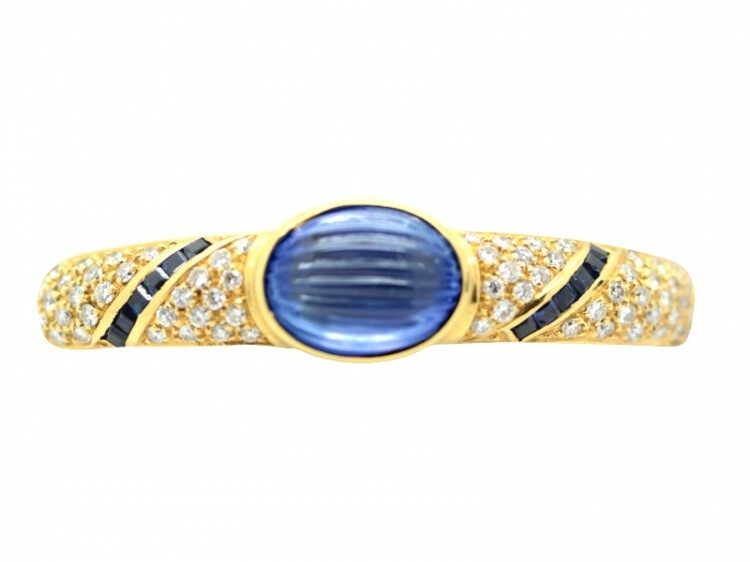 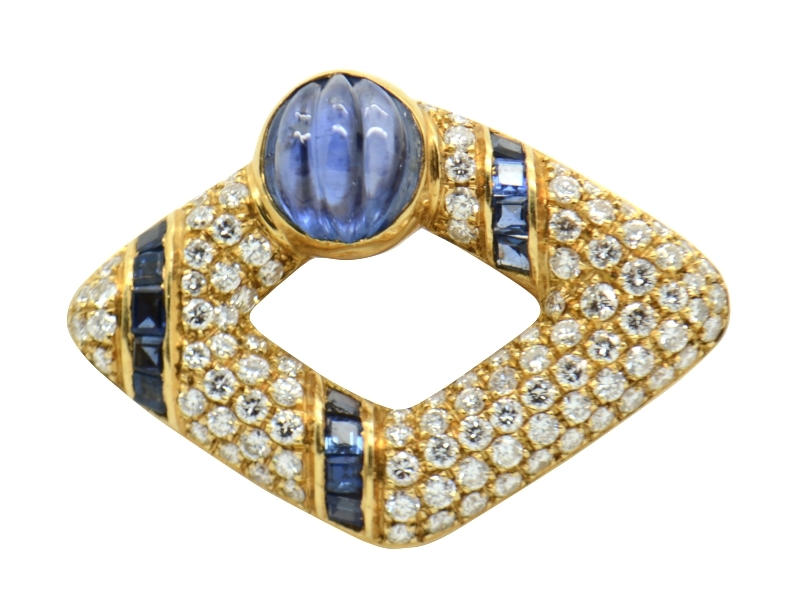 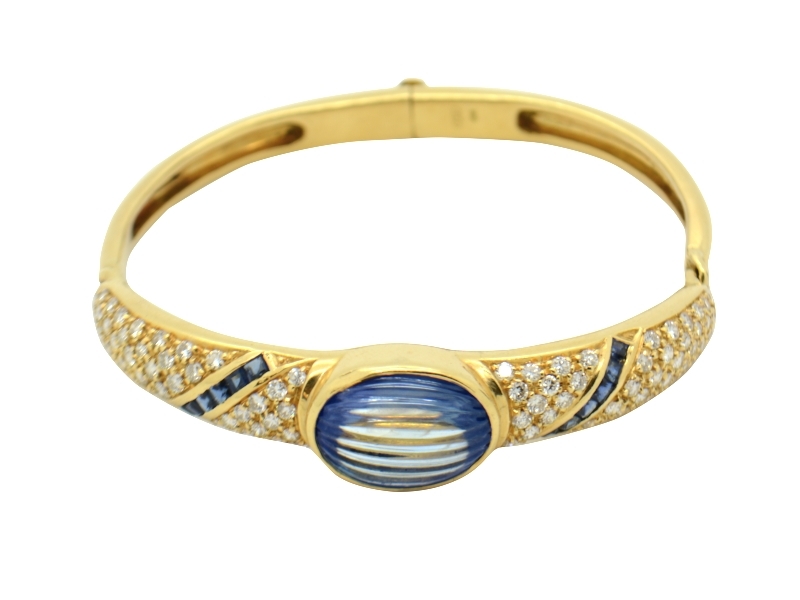 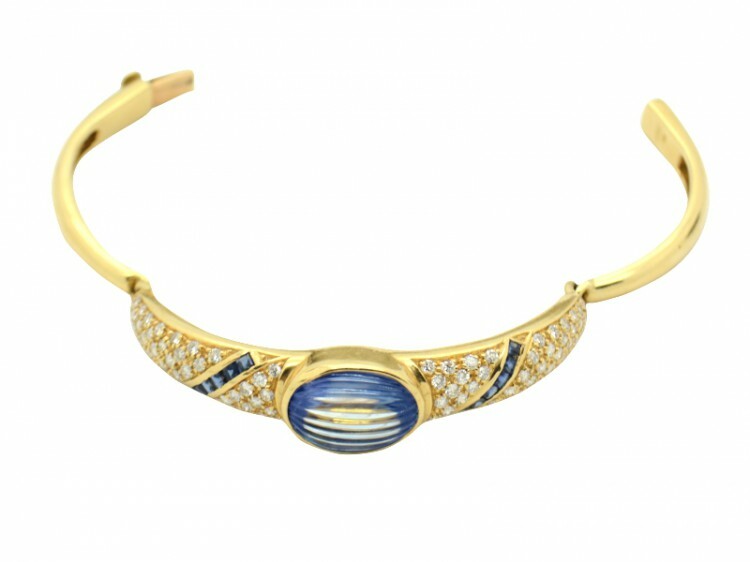 A refined yellow gold set, 44.40 grams total weight, including a bracelet and a brooch set with 2 cabochon cut engraved sapphires, carrè cut sapphires and round cut diamonds of approximately 4.50 carats. Bangle bracelet, brooch measurement cm 4.00x3.00 circa. 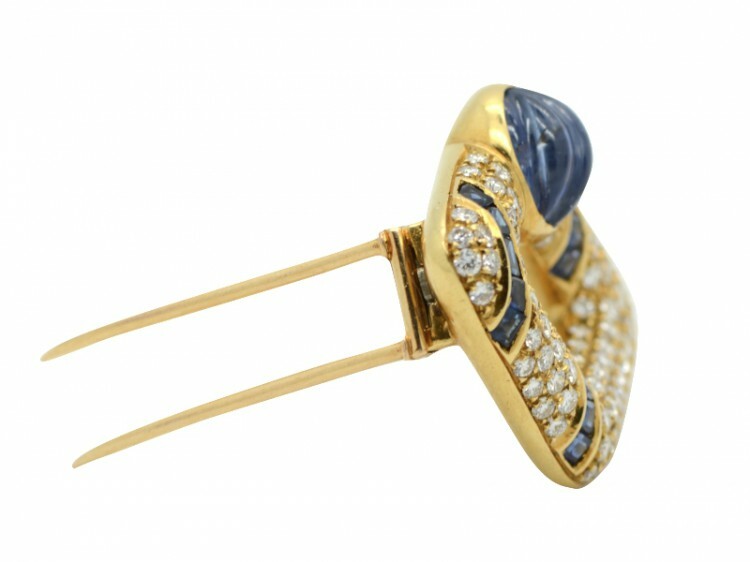 SALABLE TOGETHER ONLY.